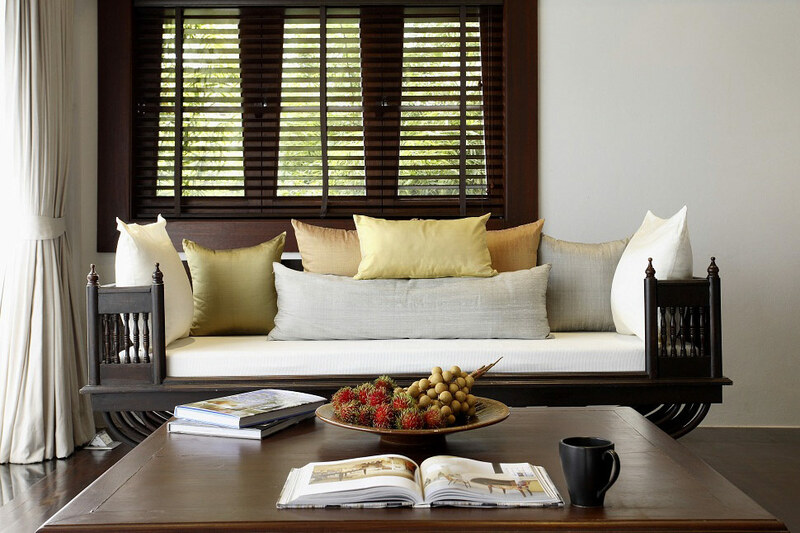 "Serenity and luxuriance of a family home in a stunning location"
Spacious living, tasteful decor and private surroundings ensure that every guest at Baan Lom Talay has a holiday to remember. 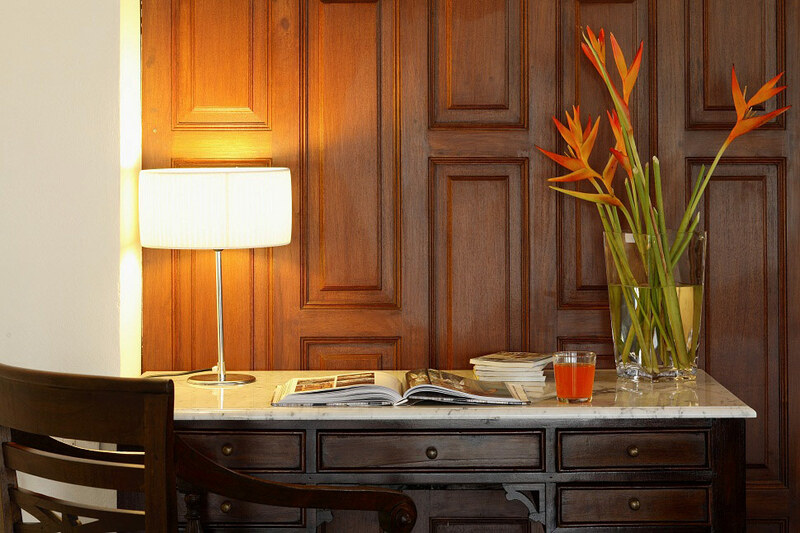 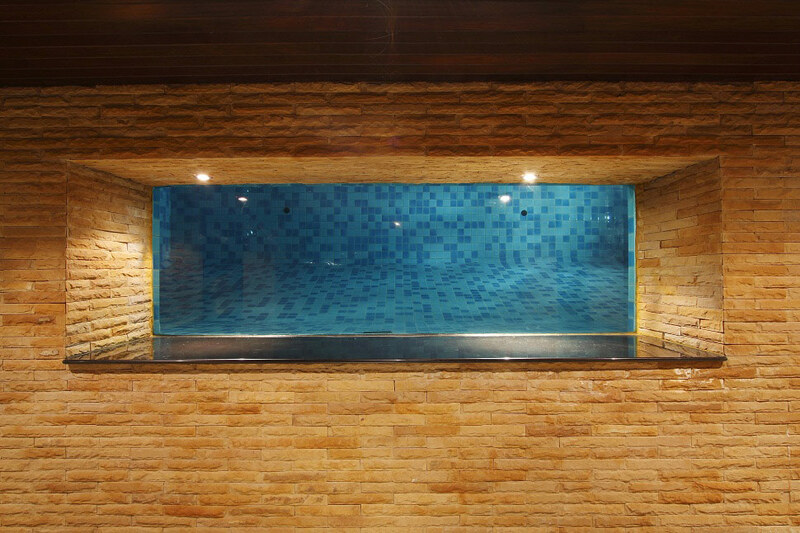 Every detail has been considered so that guests are made to feel at home. 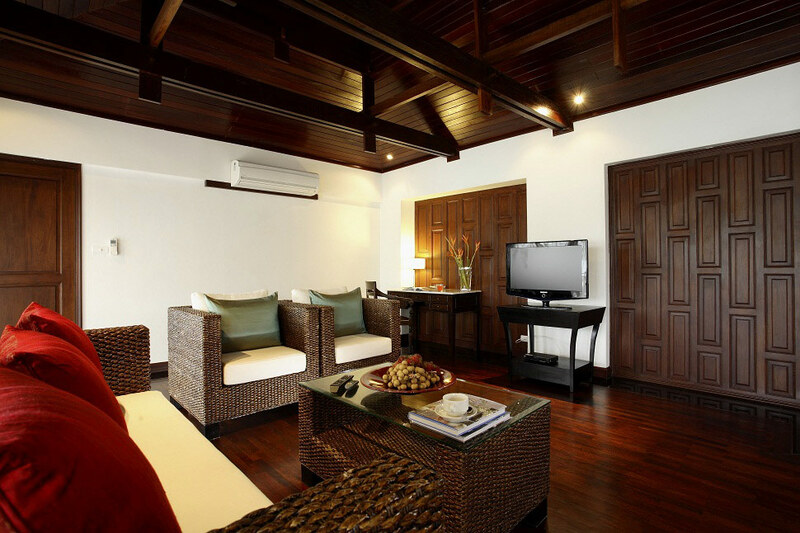 Air-Conditioning throughout, modern appliances, WiFi Internet, stylish furnishings and decor provide a comfortable and relaxed atmosphere. 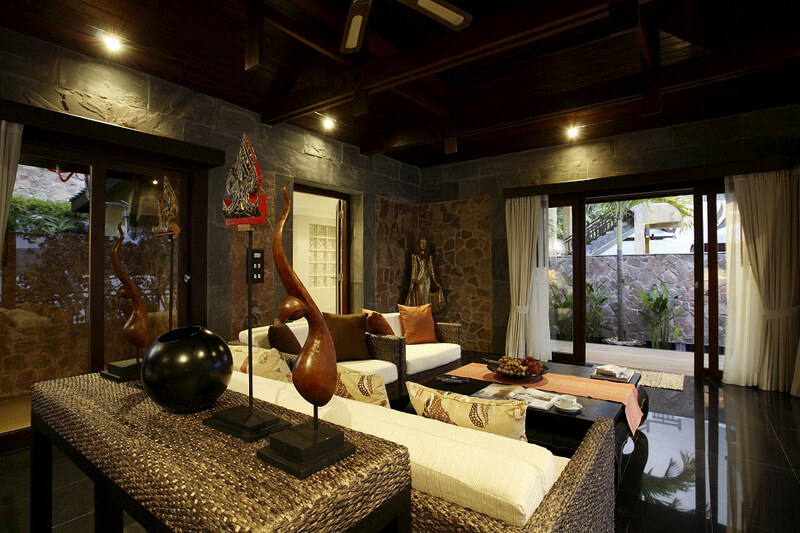 The villa is an extremely spacious house with expansive sand washed terraces surrounded by lush tropical foliage. At the center of the villa you find the impressive swimming pool and sala which both provide an exotic location to overlook the Andaman Sea and Kamala Bay. 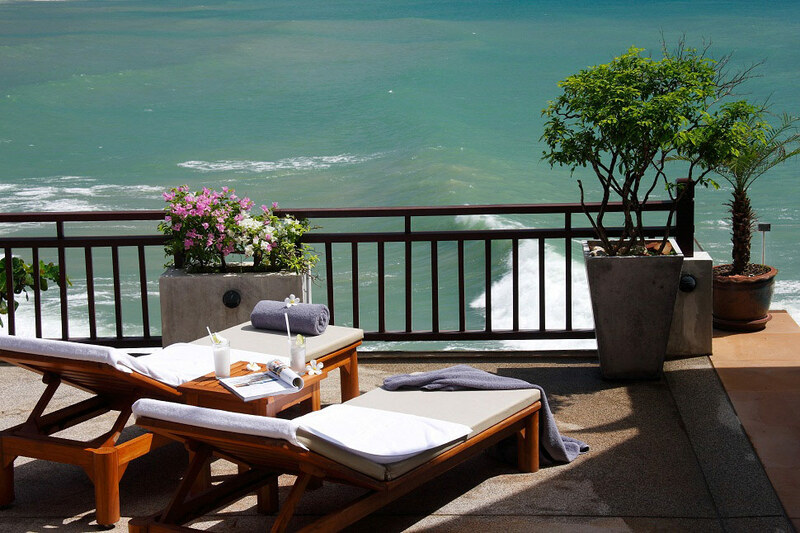 Sun loungers and ample decking provide the perfect setting for relaxing during those sunny Phuket days. 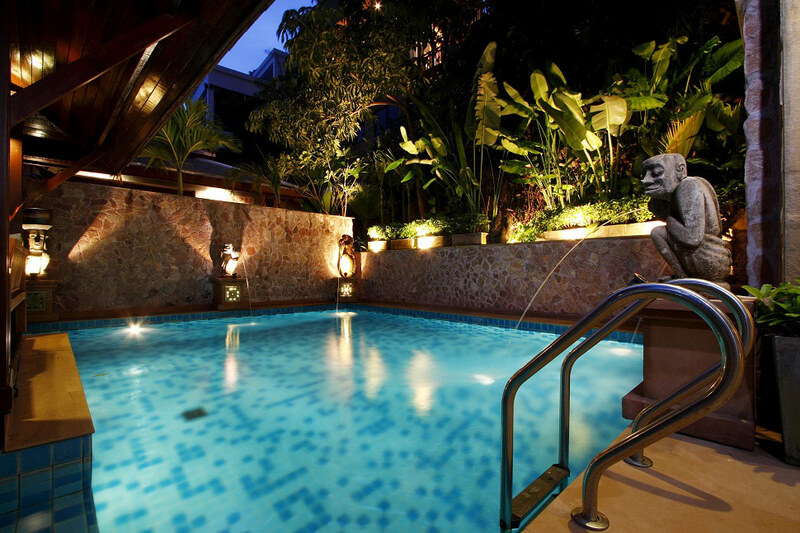 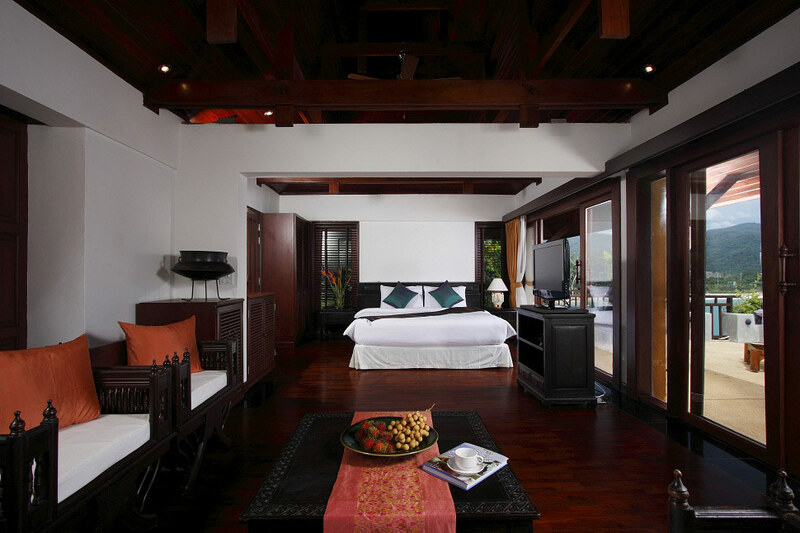 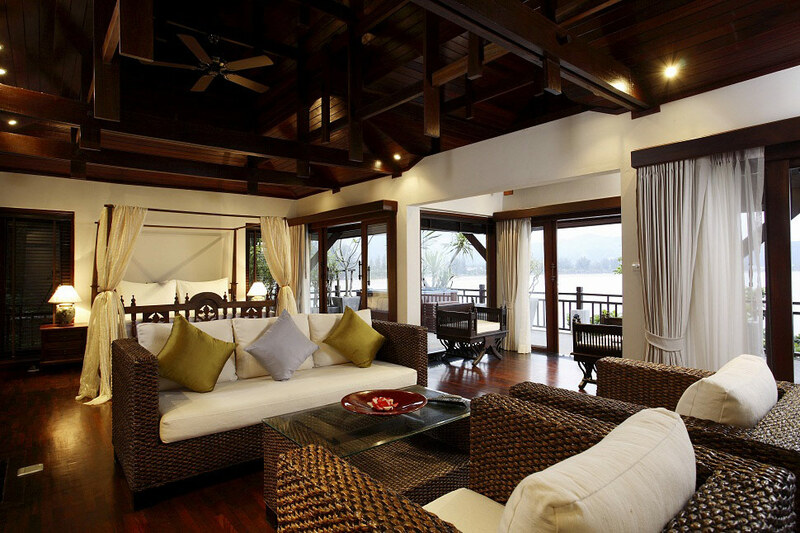 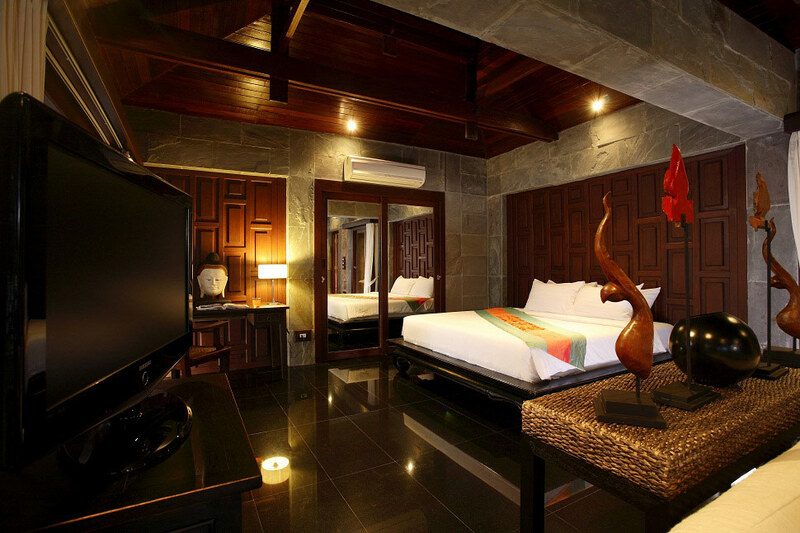 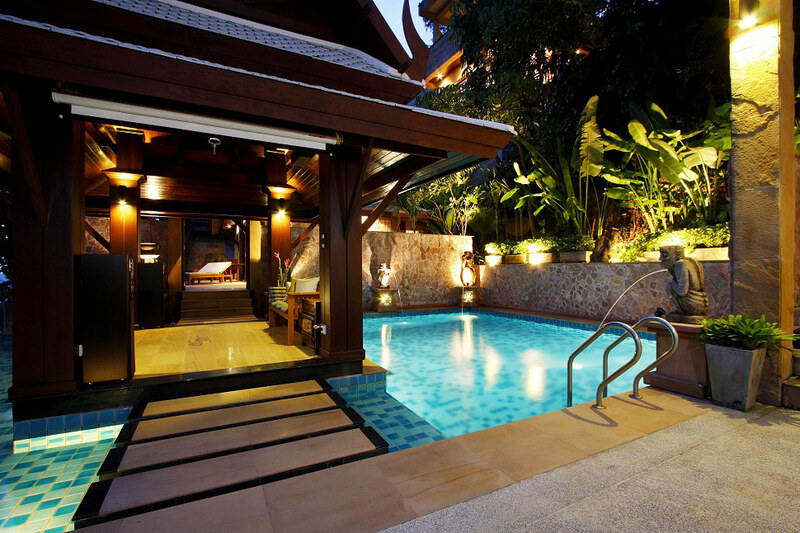 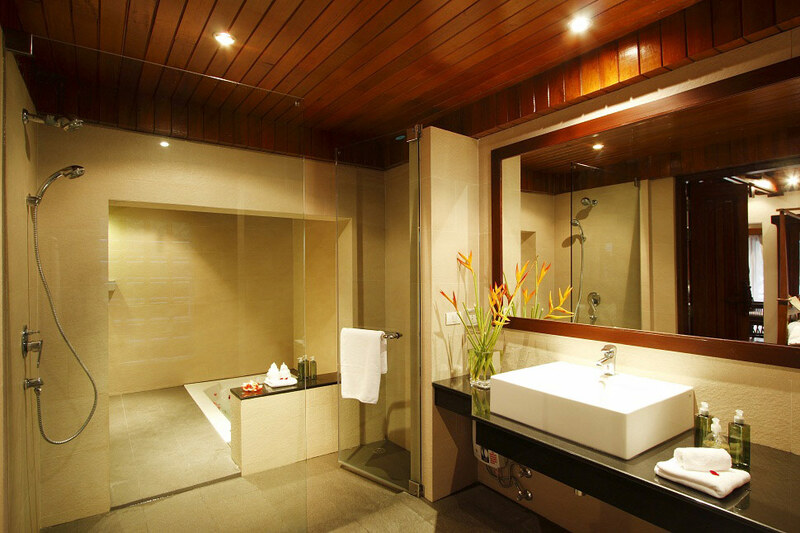 The Master bedroom is located on the second floor and overlooks the pool, gardens and Kamala Bay. 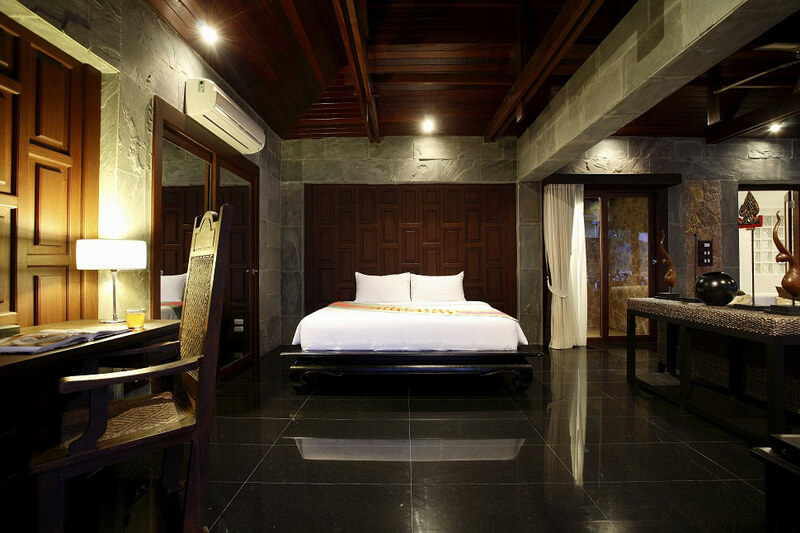 This spacious bedroom, with decorative grey stonewalls and beautiful black granite floors, has its entry via a bridge over the swimming pool & Sala which creates its own island effect. 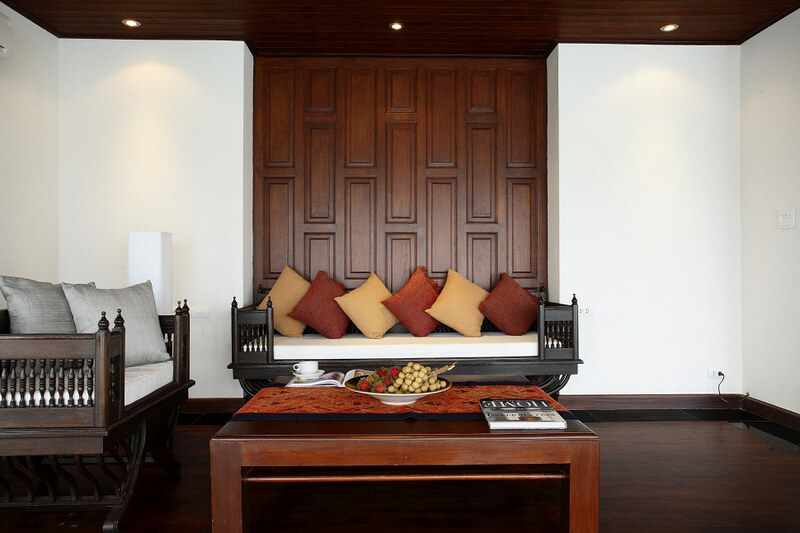 Entering through the artistic wooden doors you step directly onto the spacious terrace of this huge privately enclosed suite. 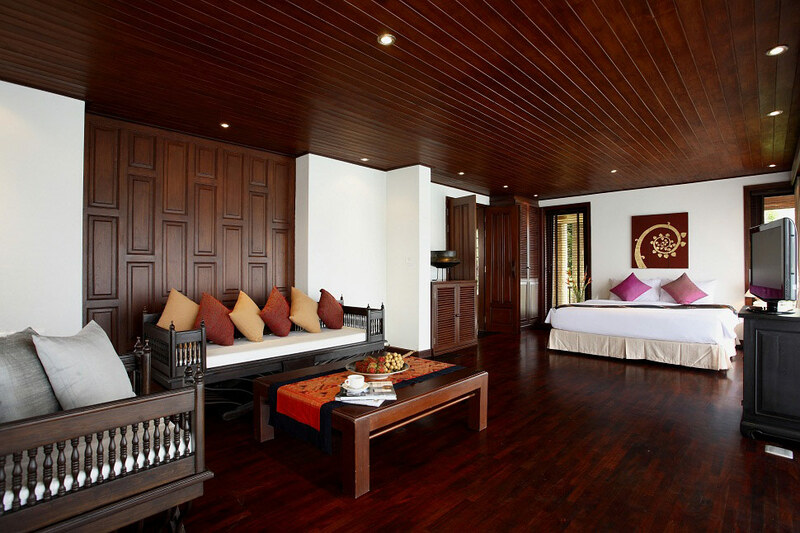 The master features elaborate wooden ceilings and tasteful furnishings and leads to a stylish en-suite bathroom. 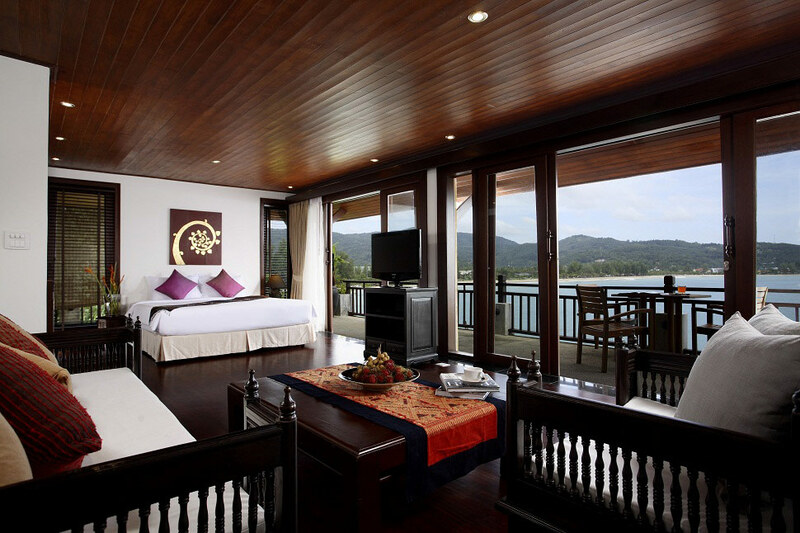 The accommodation comes with a King Sized bed, spacious surroundings and great views. 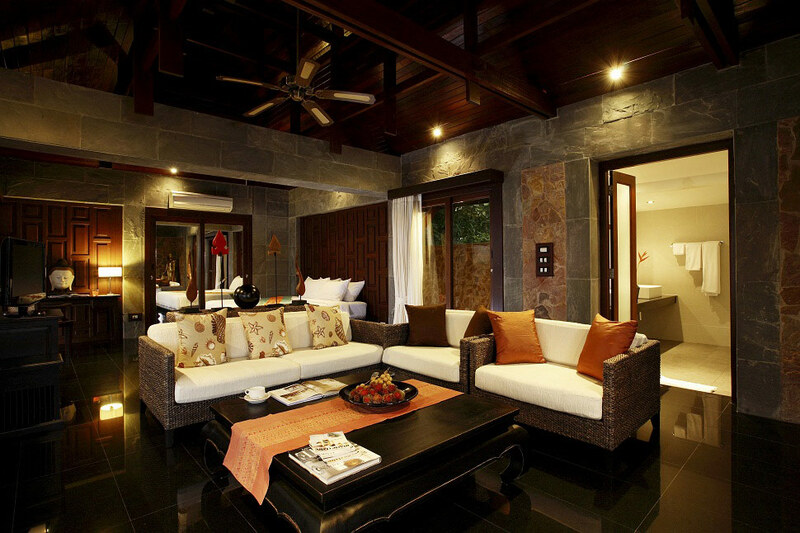 The designer decorated living area includes a settee for 4 people and coffee table as well as a 32" Plasma screen TV. 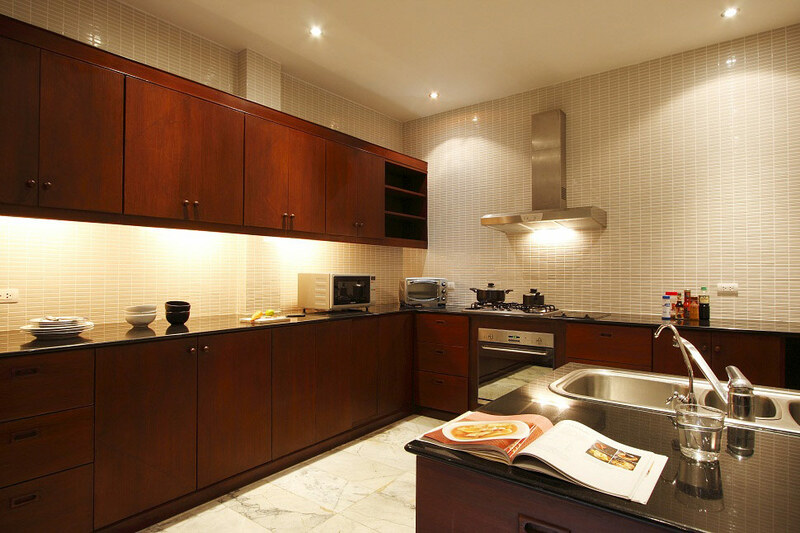 A mini-fridge and safety box are found in the built in robe. 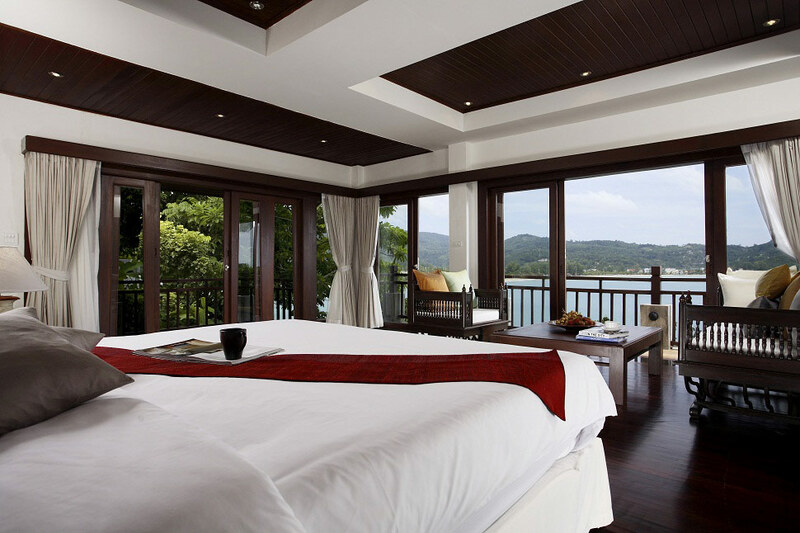 Walking out into the villa from the master suite and across the pool, the VIP suite sits across level 2 over looking the Jacuzzi and the bay. 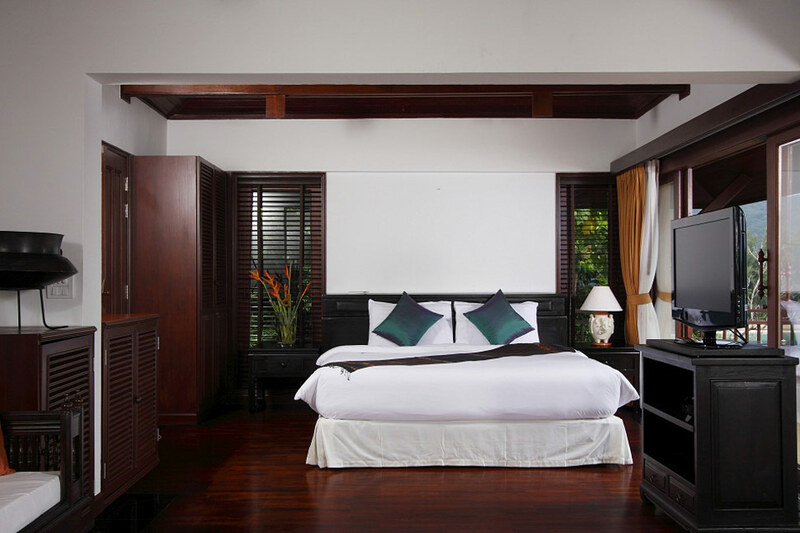 This spacious suite could easily be mistaken for the master bedroom with private Jacuzzi/bath, King sized bed, spacious living area, beautifully varnished wooden floors and ceilings. 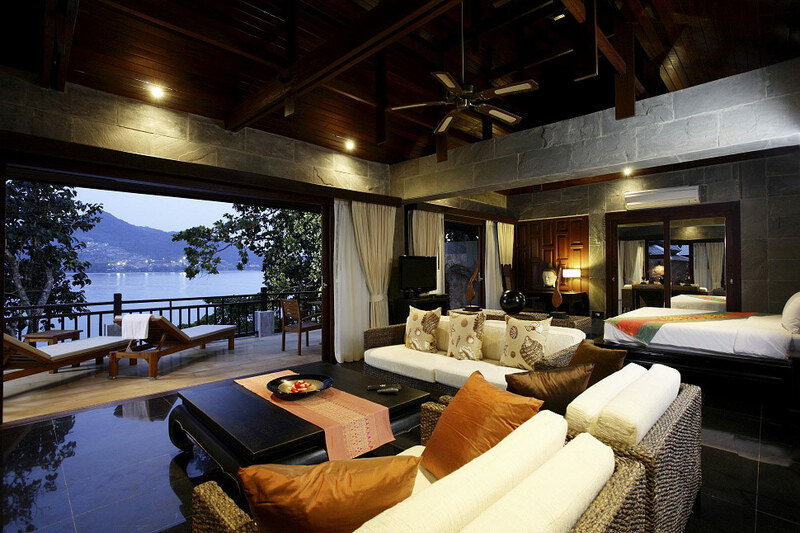 It would be hard to find a more comfortable room on Phuket's west coast. 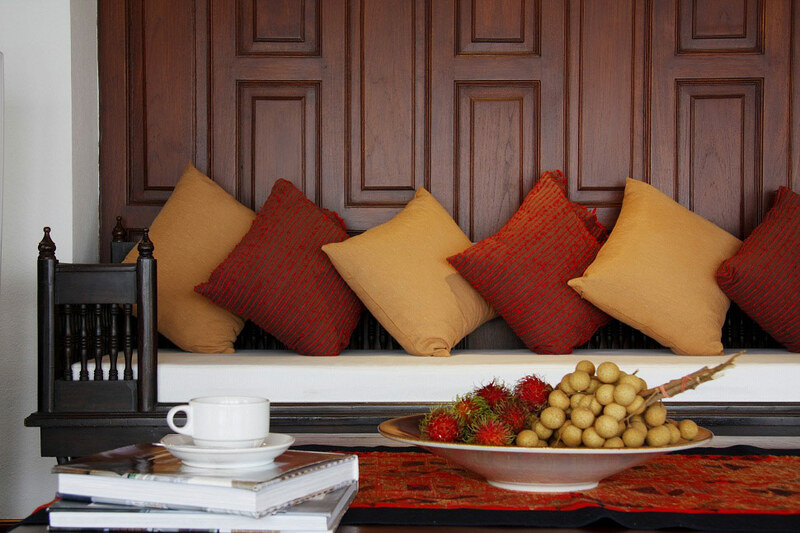 Dining is an experience at Baan Lom Talay and our staff can offer indoor and outdoor settings depending on guests' mood. 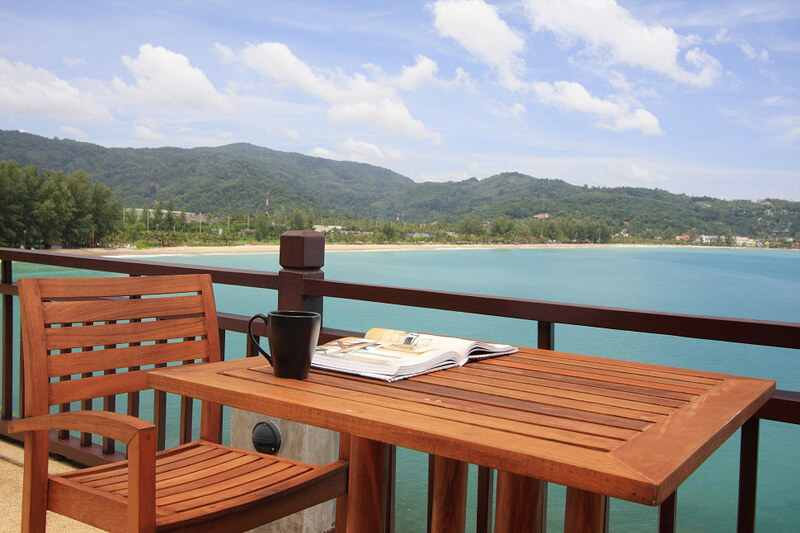 Outdoor under covered dining overlooks Kamala Beach - a perfect spot for breakfast and a morning coffee. 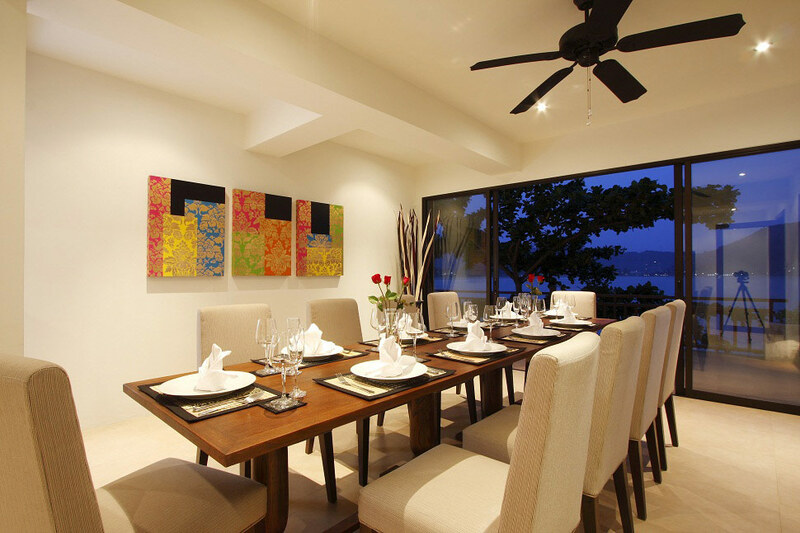 However guests can also enjoy their dining more formally inside the large 10 seat dining room is tastefully decorated with modern Thai artwork and furnishings. 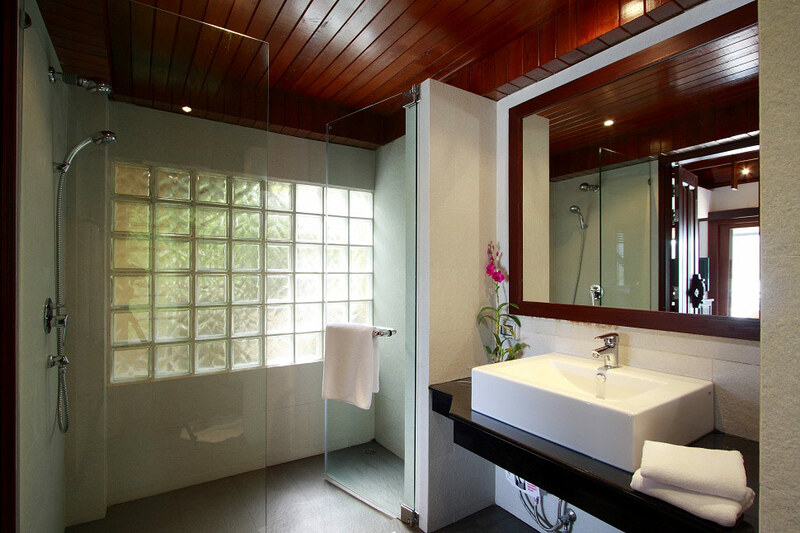 Baan Lom Talay could be mistaken for a small boutique resort yet guests will experience an overwhelming feeling of privacy. 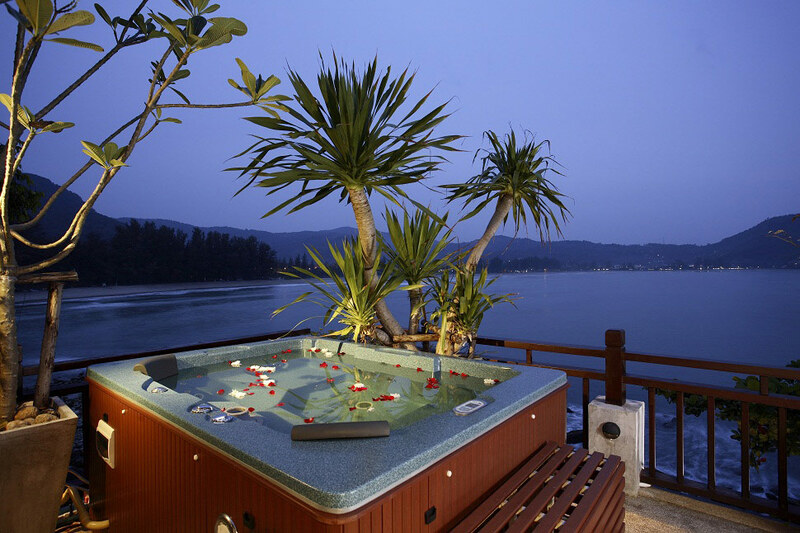 Some nice little additions to the landscaping include a natural rock-pool and tanning deck, which has been built into the rocks and can be accessed directly from the villa. 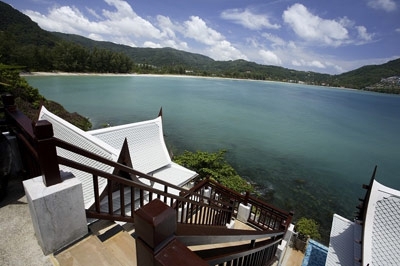 This path can also be used to access Kamala Beach and for the more adventurous Leam Singh Beach without the hassle of having to walk up to the road. 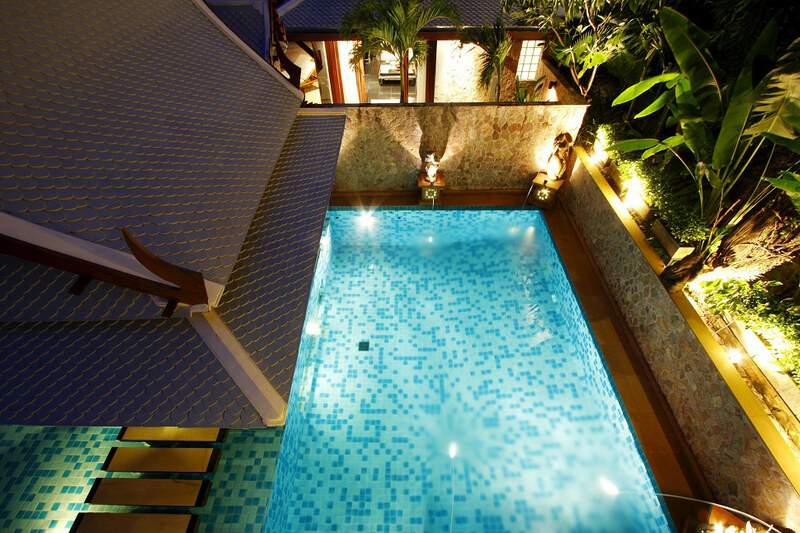 Close to many activities, beach and nightlife, Baan Lom Talay is an excellent choice for families and small groups.